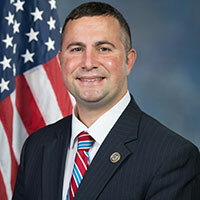 Elected in 2016, Darren Soto represents Central Florida in Congress. The 9th District includes all of Osceola and parts of Orange and Polk Counties, and is home to many of the people who make Orlando’s theme parks world-renowned, who grow more citrus and raise more cattle than anywhere else in the State, and who explore the farthest reaches of the galaxy from the Kennedy Space Center. Congressman Soto serves on the Agriculture and Natural Resources Committees. Darren entered public service to work for these hard-working Floridians. Serving for a decade in the Florida Legislature, he fought to create high paying jobs, increase access to higher education, and ensure clean water, land, and air for his constituents. Soto passed landmark legislation allowing Dreamers to be admitted to the Florida Bar, protecting families of fallen firefighters, and giving victims of sexual assault more time to report their attackers. He also secured $25 million to build a state of the art college campus in the District, helped provide $10 million to save Florida’s springs, and brought in $15 million for a high-tech sensors manufacturing facility. The first Floridian of Puerto Rican descent to serve in Congress, Darren is proud to represent all the diverse people of the 9th District. Growing up in New Jersey, Soto graduated from Rutgers University and George Washington University School of Law. His hobbies include playing guitar, pastel painting, and kayaking. Initially joining his local Orlando Young Democrats club to make friends, he was soon encouraged to run for the Florida House. At the age of 28, he ran, won, and has brought a sense of humility to public service ever since.